Organ meats deserve rethinking where the dog’s dinner is concerned. 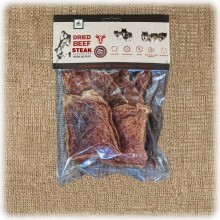 Referred to as offal, organ meat such as heart, stomach or lung are very rich in high-grade protein, minerals and vitamins. They are a great source of valuable nutrients and naturally low in calories. 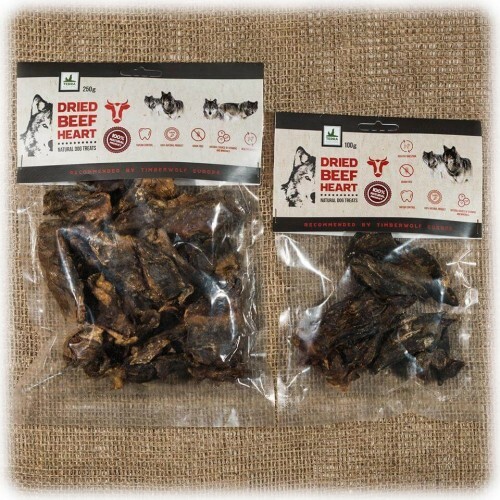 Our all-natural and gently dried Beef Heart dog treats are low in fat, have a tender texture and are the ideal snack for all dogs, but especially suitable for puppies and seniors as well as overweight dogs.
! This product is characterized by a typical smell that is not a sign of a bad quality. 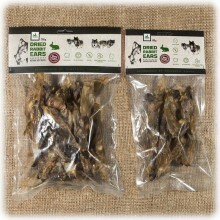 Probably this odor is an irresistible smell for dog, so it is one of the most popular treats from dried products. 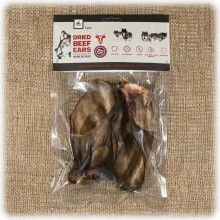 For odor-sensitive dog owners we recommend offering this treat outside. 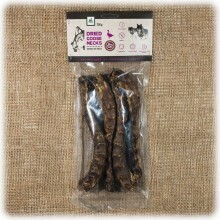 Our Beef Heart dog treats have a size of approx. 5 x 5 cm. 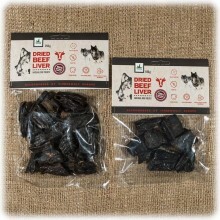 250 g package content approx. 10-12 pieces of beef heart,100g packages approx. 4-5 pcs.